Newly established theatre production company Cairo Show has announced it will stage five shows this year, including Shakespeare's King Lear, starring Yehia El-Fakharany, which has previously been performed many times in state-owned national theatres. "In the first half of the year, we will open three plays: King Lear, Elly Alihom El-Ein by girl troupe Bahgagah, and a kids’ show called Not Frozen, while in the second half we will introduce Akram Hosni in Al-Madina Al-Fadeha and a modern adaptation of the classic tale of El-Shater Hassan," Cairo Show's producer and director Magdy El-Hawary said in a statement published on Sunday. El-Hawary is a co-founder of Cairo Show alongside arts journalist Mohamed Hani, producer and distributer Walid Sabri, sound and lighting expert Hamed Arafa and media marketing specialist Manar El-Amin. "The Cairo Show experiment aims to prove that art content creating is about the vision and strategic thinking more than the funding. Together we will merge our experiences as founding expert as an initiative hoping others follow our model," Hani said in the statement. 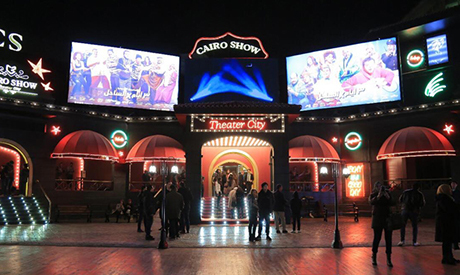 Cairo Show have established four new theatres across Cairo. This month the company launched Talat Ayam Fil Sahel (“Three Days on the Coast”) comic play starring Mohamed Henedy at their theatre in 6 October city. The show has sold out performances and there are plans to take it on tour internationally.